Join our expert team at St Peter & St James Hospice and make a difference every day. We’re looking for passionate, inspiring people who want to help our patients and their families. As well as job satisfaction, generous pension contributions and on-going personal and professional development opportunities, you’ll enjoy beautiful views, flexible working, two adorable donkeys, Dylan and Dudley, and our resident Hospice cats, Jasper and Willow. We are an equal opportunities employer and value diversity. We provide free onsite parking, teas and coffees and you can order freshly cooked subsidised meals from our Catering Team. We have a café facility three days per week offering weekly specials, snacks and freshly baked cakes and speciality coffees. If we can’t offer you your dream opportunity right now, we’d still love to hear from you. You could volunteer in your area of interest or get involved with one of our hospice events. As a registered charity, St Peter & St James Charitable Trust is governed by a Board of Trustees. We are fortunate to have a very committed group of Trustees who bring a broad range of experience and fulfil a vital governance function in the running of our charity. They are also a very supportive team who are able to give back to their community through their service to the hospice. Coming from a variety of relevant professional backgrounds, the Trustees are all volunteers and attend six Board Meetings and two Workshops per year, as well as serving on one or more of the Trust’s sub-committees which meet quarterly. There is also an expectation that Trustees will help in promoting or representing the Trust at local fundraising events. We encourage and support applicants who have family/work responsibilities and we will be as flexible as possible when arranging these meeting commitments with you. Our Trustees all share an enthusiasm and commitment to the hospice and the services that it provides for people who are approaching the end of their lives. We are looking for up to three Trustees who share in our values and vision and who have the skills, qualities and expertise to shape, grow and develop the people and services of the Trust. They will provide good governance, financial management and control of the Trust’s finances and provide strategic direction, planning and management as well as having a full understanding of their legal responsibilities. They will be able to demonstrate a track record of effective performance, strategic thinking and sound and effective judgement. They will also be self-motivated, passionate, professional, approachable, friendly and be an excellent communicator. We are looking for Trustees who put the needs and desires of our service users at the front of everything we do and be an ambassador for our Trust. We are seeking applications from people who live within the communities served by the hospice and who have the relevant experience and skills to meet our requirements on the Board. We are particularly seeking applications from people who have direct experience of hospice care or other relevant services. If you share our passion to support people at this key time then we want to hear from you. If you would be interested in knowing more please see the role description below or contact Deborah Denyer, Executive Assistant to the Chief Executive & Trustees at ddenyer@stpjhospice.org or on 01444 471 598..
We are holding ‘open events’ for interested applicants to meet members of the Board of Trustees and take a tour of the hospice. These are being held on Saturday 13th April between 10am and midday, and on Wednesday 17th April between 6pm and 8pm. We look forward to seeing you there. Please let Deborah know if you intend to come. Applications are by completion of an Application Form where you are asked to set out why you are interested in becoming a Trustee and what skills you would bring to the Board. Closing date for applications is Tuesday 30th April 2019. Interviews will take place week commencing 20th May 2019. 37.5 hours per week, 9am – 5pm worked over 5 days to include some Saturdays. The St Peter & St James Hospice is situated in the heart of the Sussex countryside near Haywards Heath, providing specialist palliative care for people towards and at the end of life. We are looking to recruit an experienced, proactive and confident Relief Charity Shop Manager to work across our charity shops in Lewes, Uckfield, Heathfield, Haywards Heath, Burgess Hill & Lindfield. If you are looking for a varied role, enjoy working across different shops and are a self-motivated individual with a commitment to turning donations into vital funds, which enable us to provide exceptional care for our patients, then we would love to hear from you. This is more than an ordinary retail opportunity. In this role you can combine your passion for retail with your commitment to making a difference, which will give you a unique sense of job satisfaction! Preferably with previous Charity Shop management experience you will have plenty of initiative and enthusiasm, a flair for display and a drive to reach and exceed your sales targets. You will also be able to manage and work with our volunteers and have a focus on providing exceptional customer service. You will need to have good IT skills to include email, Word and Excel, be flexible, be a people person and happy to go the extra mile. As our shops raise funds for our Hospice Care, it is vital that they are performing at their best. We are therefore looking for a dedicated individual with the passion and energy to maintain these high standards. You will need your own reliable transport. We provide a generous pension contribution plus 25 days annual leave, plus bank holidays. As part of the recruitment process, we would ask you to visit our shops prior to applying. Please state whether you are applying for the full or part time post. St Peter & St James Hospice & Continuing Care Centre, North Common Road, North Chailey, Lewes, East Sussex, BN8 4ED. We are looking to recruit a new dynamic and ambitious Charity Shop Manager to manage our popular shop based in Haywards Heath. If you are a self-motivated individual with a commitment to turning donations into vital funds, which enable us to provide exceptional care for our patients, then we would love to hear from you. You will need your own reliable transport as you will be required to visit the Hospice to select items to sell in your shop. As part of the recruitment process, we would ask you to visit the shop prior to applying. £16,053 per annum, (£8.21 per hour), plus 25 days holiday and 8 days bank holiday. Please note that this role is in addition to the full time permanent Warehouse Assistant role that we have recently been advertising. Some relevant experience would be preferred, but full training will be provided. You will be based at our Warehouse in the beautiful Hospice grounds in North Chailey, so you will need a full driving licence and transport to get you to the site as we are not serviced by public transport. It is essential that you have plenty of drive and enthusiasm, excellent customer service skills to equip you to communicate professionally and effectively with our customers and be fit and strong for this busy and physical role. For the six month fixed term contract the role is primarily focussed on the processing of books and vinyl records. You will process the backlog of goods and use Ziffit technology to value and sell the products which have not been selected for sale in our shops. You will also be helping to manage and store stock in our Central Distribution Warehouse, ensuring that the facility functions in an organised and efficient manner. You will work closely with the Warehouse Supervisor, our Shop Managers, the Scheduler and our team of Van Drivers and Volunteers. You will help to support the Scheduler and Van Drivers during periods of staff absence, thus bringing variety to the role. You should be able to work with minimum supervision in a calm and methodical manner processing a high quantity of customer donations. You will be required to undertake mandatory training and development to support you in the role and ensure full Health and Safety compliance. You may on occasion be required to drive our Luton Vans up to 3.5 tonnes and must have a valid licence. Our Retail team are incredibly friendly and hard working, helping to generate 26% of our total income to fund vital support within our local community. If you’d like to join this amazing team, we offer 25 days annual leave, plus Bank Holidays, plus an employer 5% pension contribution. Free onsite parking, free tea and coffee and staff subsidised meals. Please download and complete an application form and return to the HR Department. We’re happy to show you around the Warehouse by appointment. We are situated in the heart of the Sussex countryside near Haywards Heath, providing specialist short and longer term integrated palliative care. 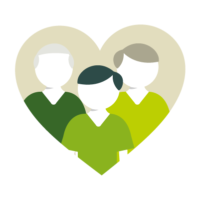 As a qualified RGN you will also have experience or an interest in palliative care and care of the elderly. Reporting to the IPU Nurse Manager, you will be responsible for assessing, planning, implementing and evaluating the nursing care of a named group of patients and ensuring that records are maintained in accordance with the NMC Guidelines’ Standards for Records and Record Keeping. You will also support the IPU Team Leaders in the delivery of a high quality and cost effective service of patient care. Responsibilities will include you working as a member of the ward team and supervising the nursing practice of junior members of staff. You will participate in ensuring patients are involved in all aspects of their care, and also that partners, friends and relatives are involved in care in accordance with the patient’s wishes. You will treat each patient with dignity, respect and understanding, in accordance with the philosophy of St Peter and St James. You will be aware of unit procedures and policies and ensure they are carried out safely in accordance with agreed policies. With your excellent communication skills you will liaise with all patients, their families and hospice staff and comply with the NMC Professional Code of Conduct for Nurses, Health Visitors and Midwives at all times. Personal objectives will be agreed between yourself and the Team Leader and you will be responsible for maintaining your own professional development. This may result in the need for you to attend training courses from time to time, some of which will be mandatory. Both full time (37.5 hrs) and part time (30hrs) contracts will be considered for this role. Due to our location you must have your own transport. Bank Healthcare Assistant Contracts Available. Assisting trained nursing staff in the care of specialist palliative care patients, you will be working with a small and friendly team and have the time to devote to establishing professional relationships with our patients and their relatives, and to be involved in the clinical ‘hands-on’ care to meet the physical, psychosocial and wellbeing needs of our patients. You will be involved in staff meetings, assisting with clinical assessments and maintaining mandatory nursing records. At all times, you will ensure the patients are treated with dignity, respect and understanding. Previous healthcare experience would be advantageous, but full training and support will be provided and all staff are encouraged to participate in further training and development, as well as attend all mandatory training programmes. You will possess excellent communication skills, flexibility and have a willingness to go the extra mile to ensure the comfort and safety of all our patients within the confines of established hospice policies and procedures. We have a long-established relationship within our community and a strong reputation for providing excellent palliative care and support to assist with symptom control to maximise quality of life, end of life and respite. If you have those special qualities to join our hardworking and friendly team, we would love to hear from you. The role is subject to an enhanced DBS check and you also need your own reliable transport as there is no public transport to get to and from the hospice. At St Peter & St James Hospice we provide high quality specialist palliative and end of life care for patients with cancer and other life-limiting conditions across East and West Sussex. An opportunity has arisen for an experienced Personal Assistant to join our team. You will provide responsive, proactive and comprehensive Personal Assistant support to the Director of Care/Registered Manager and will use your excellent organisational and planning skills to facilitate the smooth running of their workload. Using sound judgement skills and initiative, you should be able to anticipate and resolve competing priorities professionally and calmly. You will possess strong interpersonal and communication skills which will enable you to liaise confidently with internal and external staff and stakeholders at all levels of seniority. Experience of working alongside volunteers would be advantageous. You will have substantial experience of working in an administrative role and will have skills in telephone based communication as well as face to face, minute taking and reception duties. A working knowledge and experience of Microsoft Office packages is essential for this role. Experience of transferring information into report templates is desirable since the Registered Manager is required to submit various reports to external partners and our regulator, the Care Quality Commission. The successful applicant will be joining the organisation at an exciting time as we initiate our clinical strategy with the aim of providing fully integrated services and extending our reach and influence in our local community. On an initial 3 month fixed term contract we are looking for an HR Administrator to join our busy HR team. Primarily you will be responsible for processing all the new starter paperwork relating to the recruitment of both staff and volunteers. This includes advertising vacancies, managing the HR and Volunteer generic email accounts, acknowledging applications received, arranging interviews and sending regret communications. Duties also include taking up and chasing references, ensuring correct identification information is provided for DBS applications and updating all necessary HR and volunteer spreadsheets. General HR administration duties including filing and photocopying etc will also be required. The candidate will have a good eye for detail, be a self-starter, have excellent IT skills and have a ‘can-do’ attitude. They will be able to work to deadlines, have excellent planning, organisation and communication skills and be able to work positively towards the continued development and success of the HR team. We are looking to recruit a new dynamic and ambitious Charity Shop Manager to manage our new shop soon to open in Burgess Hill Town Centre. £9,075.00 for 11 month fixed term contract period. 22.5 hours per week. In this role you will provide administrative support and undertake a range of specific non clinical activities to enable the effective and smooth running of the In Patient Unit (IPU). You will provide reception services to the IPU receiving relatives and visitors to the unit as necessary. With excellent administrative skills and experience you maintain accurate information on the clinical database (SystmOne), particularly regarding admissions, discharges and deaths. The role includes receive admissions, assisting with the organisation of discharges/appointments and communicating with other departments as required. Completion of ward duty registers, organising cover for roles including booking bank and agency nurse cover as requested will also be required. An excellent telephone manner and being able to stay calm and confident will ensure you are able to liaise with internal and external organisations, colleagues and professionals as required including assisting with booking patient transport and liaising with transport providers. You will possess strong IT and administration skills, have a ‘can-do’ attitude and be of a happy and positive disposition. You will require your own transport to get to the Hospice as there is no public transport available. Subject to continued funding being available after March 2020 we are looking to recruit a Carer Project Lead and Counsellor to join the Wellbeing Services Team. The role is split whereby 15 hours per week is dedicated to the Carer Project Lead role and 12.5 hours per week is dedicated to the Counselling role. As Carer Project Lead you will assist in the recruitment of additional Befrienders in conjunction with the Volunteer Co-ordinator and the Counsellor and Befriender Co-ordinator, maintain and update secure database of Befrienders/contact details and clients and assess patient and carer referrals allocating them to appropriate Befrienders as necessary. You will also collect data for internal monitoring and external funders, attend ward MDT meetings on a regular basis to give advice and guidance and check caseloads for new patients allocating appropriate family members/carers to the service as required. As a Counsellor you will carry a clinical caseload of up to 7 sessions per week with carers and family members. This will be done in liaison with the other members of the counselling team. You will respond to the complex needs of family members in Oasis, Seasons and the In-patient unit and in the absence of other staff counsellors you will respond to patients and families who have complex needs and are on the In-patient unit. If you have the skills and experience to fulfil this role we’d love to hear from you.